As a Master-Painter, I often hear horror stories that happened to unlucky persons. People often call me for help to fix the disaster that was done by an entrepreneur pretending to be a “professional painter” or by amateurs who don’t really know what they are doing! The picture on your right is a good example of a painting job that is totally unacceptable! Plaster work: the quality of the plaster work should be viewed from 2 to 3 feet without crouching or breaking one’s neck. Closer isn’t really fair. If the wall looks smooth at that distance, that’s good. If it’s still bumpy, ask the painter to sandblast again, and to repaint. The paint brush paint coverage also should be viewed from 2 to 3 feet. At this distance, you should not see the color of the surface underneath. If you still see it, ask for another coat of the color paint. Roller coverage: it should be viewed from 18 inches approximately. If you stare at the wall with your eyes at this distance and all is perfect, you’re in luck. 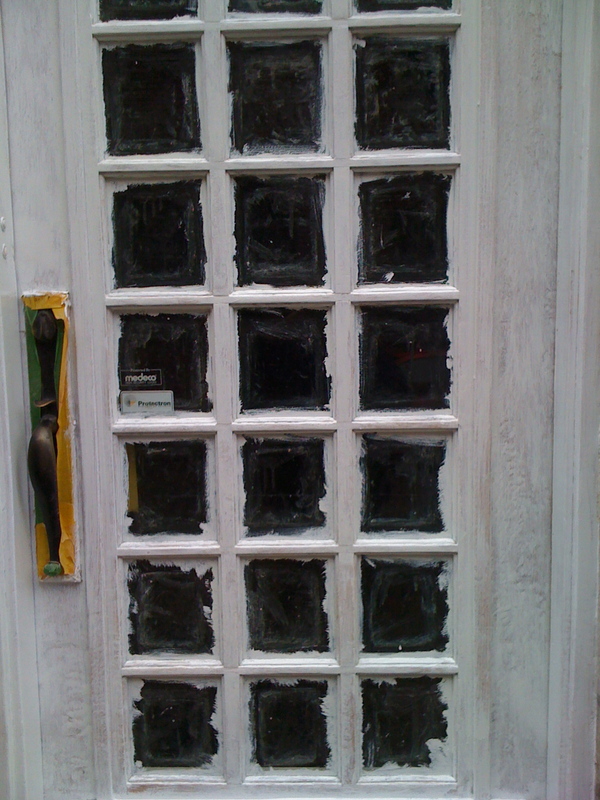 If you can see through the paint, same thing: request another coat! Roller marks on the ceiling: unless your ceiling had previous bumps, a flat white ceiling should come out perfect. Great ceilings are the easiest thing to deliver for a professional painter, so make sure it’s done right! 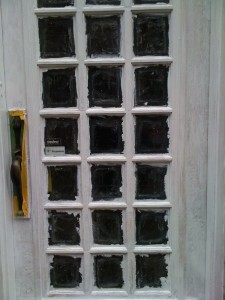 Trims: take a close look at the doors, door frames and window frames: have they been sanded? Do the trims feel quite smooth to the touch? Perfect! The walls: have they been sanded between coatings? They should be smooth for your fingertips and they should not have any bumps. Ask for a professional painter now!